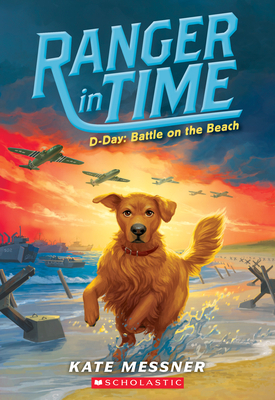 In this adventure, Ranger heads to Normandy on the morning of the D-Day invasion and finds himself in the middle of one of the fiercest battles of World War II. Ranger meets Leo, a Jewish boy who is hiding with a local farmer, and Walt, a young African-American soldier fighting to free France from the Nazis. Walt is in the 320th Balloon Battalion, so it's his job to help operate the enormous barrage balloons that fly over the American troops, shielding them from enemy planes. It's pure chaos, with thundering warplanes, falling bombs, and exploding land mines. Will Ranger, Leo, and Walt survive?